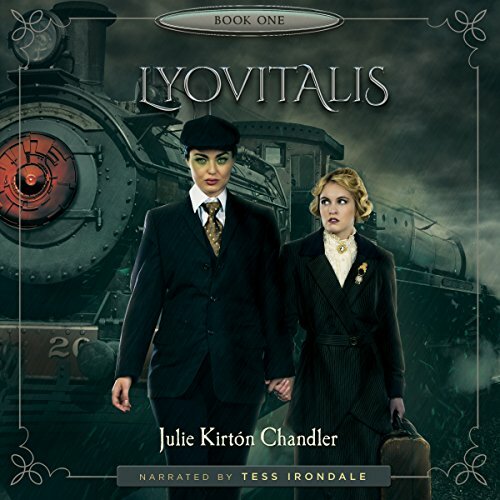 Showing results by author "Julie Kirtón Chandler"
Set during the early days of World War I, Lyovitalis follows the journey of the young and spirited doctor, Audrianna Foster, as she travels to Switzerland to continue the research of her recently-deceased father. Her object is to find a cure to the mysteriously fatal disease called lyovitalis, which not only killed her mother, but also a slew of young women in the idyllic town of snowy Zurich - where Audrianna comes to reside. In Zurich, Audrianna falls into the treacherously seductive company of Lorna. Sailing aboard a storm-thrashed vessel from America to Cuba, a young woman, Audrianna, and her mysterious son, Devon, are shipwrecked and left for dead. They survive thanks to the mystical efforts of a small community located on the coast of 1920s Georgia. While in the care of this unique group and its beautiful and loving leader, Kendis, Audrianna comes to discover the secrets of her son's cognitive powers, his (and Kendis's) otherworldly origins, and an enthralling, Earth-changing game that threatens the existences of everyone. As Audrianna Foster lies recovering in the sumptuous manor of her nemesis, Maria, she mourns the idyllic life she has lost with her lover, Kendis. When she awakens from a drunken evening in Kendis's bed, her memories are hopelessly fragmented. What has happened, and what is real? In the dangerous web of intrigue spun by opposing groups of the Children of Gavrilek, nothing less than the fate of the world hinges on Audrianna unlocking the key to her memories. Who is her ally, and who is waiting to betray her? Can someone tell me what happened?